Resse Witherspoon is a good actress. I do not have a favorite actress but if I do she would be one of them. I can watch “Sweet Home Alabama” over and over again. So when I saw her on the cover of the September issue of Elle Decor I dived right in to check out her home. I love the charm of the home but at the same time I feel that it need a little bit of color.Of course to each their own. What I love the most are the grounds and the terrace. I am a huge sucker for outdoor living. The house used to belong to a designer you might of heard of…Kathryn Ireland…Kathryn is big on color and patterns which shows in the interior of the house. If you had the choice would you choose the more neutral colors decor or the over the top color decor? I know that that’s too much color for me and I would go with Resse’s interior choices. I love decorating with lanterns. They can be used all year round: spring, summer, fall and winter. You can find lanterns practically in any home decor store: Pottery Barn, Home Goods, Target, IKEA, West Elm, to name a few. Lanterns can be used as center pieces or hang from the ceiling. They can be used as one or grouped together for different atmospheres. They do not have to be the same shapes and sizes when grouped together, even better if they are not. It gives them the space a character. In the summer the lanterns can be filled with a sand, shells, along with the candle. I own a handful of lanterns that I decorate for the holidays. Are you a fan of lanterns? It is amazing how much inspiration can be found online. For the past two years my obsession has been Pinterest. This is where I got the idea for the “loves” me photo series. It is a quick way to remember a few of the things that Madison loves at that certain time. It seems that most of the things that my daughter loved since her first birthday are still some of her favorites and of course a few new loves like Barbie and all of the princesses. To create the “loves” photo is very easy. 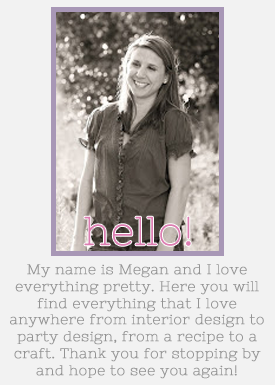 You take a photo of your child preferably with a little space to write the loves, then you can use a program like Photoshop (not free) or picmonkey (free) and add the text as different layers. Then you save. It is that easy and it’s going in her baby scrap book. I can’t believe it but the time has come for my daughter to start preschool. I am nervous and excited at the same time. I know that I will be using this photo check list to capture the first school experience. Now where I am going with this – kids bring lots of artwork back home or homework for the older kids from school. My daughter will be only part time so we are still going to do our crafting, drawing, etc at home. 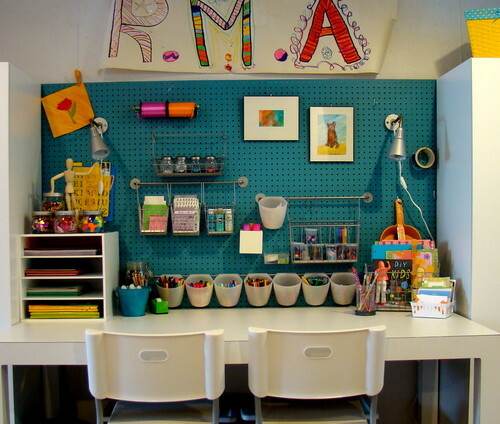 Kids just like adults need organization – a place to put their craft and drawing supplies, scissors, toys. Some are lucky and have separate rooms designated for playrooms (hello, playroom at my parent’s house) and some not some much (my own house – only two bedrooms) but in the end I don’t think kids really care where they play/learn. To find an inspiration you do not have to look far, just open a Pottery Barn Kids or Land of Nod catalog, search online, do what’s right for you. The essentials I believe every playroom should have are: storage, artwork, good lighting, a cozy corner, and appropriate size furniture. You get to decide the ways to showcase the artwork: either by framing it or hanging it on a rope just like the first photo. Make it your own. Do not be afraid of using storage bins that are meant for the kitchen as storage in the playroom. 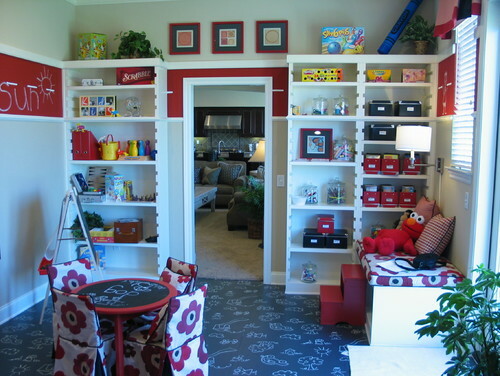 I this great article on how to set up your playroom. You can read it here. 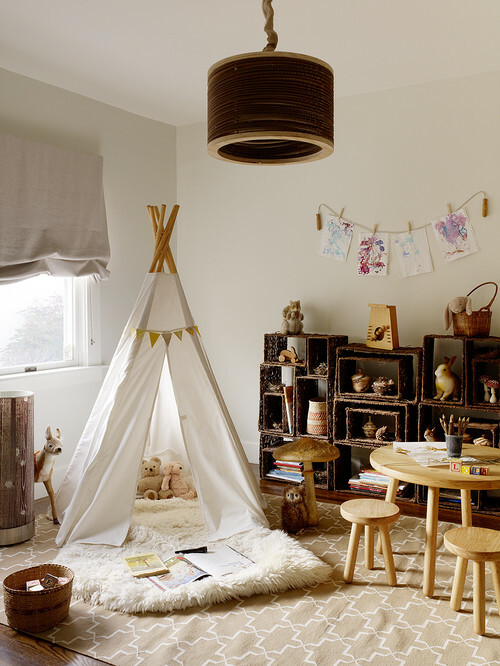 Do you have a designed room for play or do your kids overrun the house just like mine? My little girl turned 3 on August 3rd. I can’t believe that she is 3! It feels just like yesterday that I held this little girl in my arms for the first time. I remember being so nervous as a new parent yet it felt right. Now three years later this little spunky, energetic, smart, beautiful girl rules my day. Literally! Madison is a very light sleeper so instead of having the balloons in her room to see right as she wakes up I had them everywhere on the living room floor. Since we were having a Tangled party for her on the following day we decided to get her special balloon as well. She loved it! I completely forgot to take a photo of Madison’s breakfast but per her request we had pancakes while watching “Duck Tales”. On this day she is allowed to have whatever she wants for breakfast, even cake! Ryan and I decided that while she is young we will take her to any place that she would like as long is within reasonable distance of our house. Last year we went to Bulgaria right after her birthday, this year we went to Disney. Her choice! She loved going on the rides and seeing practically all of the Disney princesses! No matter if she will have a birthday party later we always make sure that Madison has a birthday cake. This year her request was a Cinderella cake! I started the birthday “loves” photo on her first birthday a quick way to remember what she loved right then. The birthday interview was something I saw online last year and decided to start on her 3rd birthday when she could answer herself. It is so fun to hear those answers. Of course I will add my answers somewhere there as well.